Adherence to ISO 9000 quality management systems involves periodic inspection of torque control tools and calibration of torque-meters. Inspection intervals depend on frequency of use. Norbar manufactures an extensive range of high quality torque wrenches to cover torque values from 1 N.m to 1500 N.m. 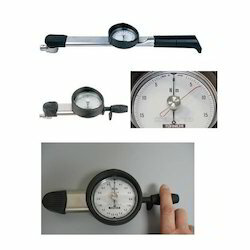 They are designed and manufactured to exceed international standards for accuracy. Dual scaled, N.m and lbf.ft. Precision torque tools are built for accuracy when it counts. A precision torque tool is only as good as its results. And, with proper maintenance and regular recalibration, our rigorous safety standards ensure you never have to question their accuracy. 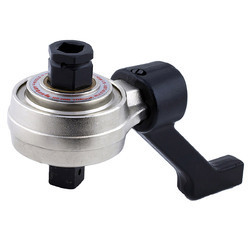 Being the reckoned names in the industry, we offer functionally advanced array of Hydraulic Torque Wrench that are acclaimed for high quality and immaculate performance. Our entire product range is sturdy in construction and ensures high strength. They ensure homogeneous mixing of the required material and come with customized solutions. Offered product line is used in varied light and heavy duty industries and are in compliance with set quality standards. They ensure effective results and come in budgetary limits. Moreover, we offer the entire product range as per the client's preferences. They are abrasion resistant in nature. Norbar gearboxes are built to an extremely high standard of precision. All gears rotate on needle roller bearings about hardened and ground journal pins. As a result, Norbar Handtorques can be relied upon to have a torque multiplication accuracy of+4%, throughout the operating range, taking the uncertainty out of high torque tightening. No gearbox is 100% efficient and so the velocity ratio (the number of turns that the input has to make to achieve one revolution of the output) is not the same as the torque multiplication ratio. Norbar multipliers are engineered such that each gear stage has a velocity ratio of typically 5.451 which results in a true torque multiplication factor of 51. Torque output calculations are therefore a matter of simple arithmetic with little risk of incorrect bolt loading due to conversion errors. Other manufacturer's multipliers often require graphs or formula to calculate the input torque to achieve a particular output. The Norbar Handtorque is the most comprehensive multiplier range available. Standard products are available up to 47,500 N.m (35,000 lbf.ft) and 'specials' to 100,000 N.m (73,000 lbf.ft). A range of 'nose extensions' for reaching difficult to access bolts and full range of torque transducers for highly accurate torque monitoring are available. 51 Torque multiplication, accuracy guaranteed better than +/-4%. Anti Wind-Up Ratchet available on models of 251 ratio and above. The Micro Torque Screwdriver is an externally adjustable tool that offers different setting options for applications that require more than one torque value. The adjustable screwdriver does feature an external adjustment scale. The screwdriver “slips free” once the set torque has been reached making over-tightening impossible. 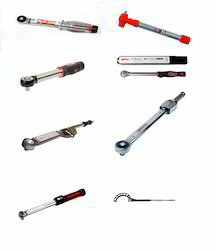 Being an eminent company in the market, we are involved in offering best quality of Britool Torque Wrenches. 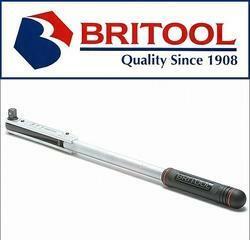 These Britool Torque Wrenches are available in the market in various sizes and specifications. These Britool Torque Wrenches are extensively used torque tools available in ratcheting and non- ratcheting models. Further, we ensure to satisfy the entire requirements of the customers in all manners. Production 'P' types versions, with no setting scale, are also available to discourage unauthorised alteration, and must be set against a torque testing device such as Norbar's Professional Torque Tester. Production 'P' type versions are designed to discourage unauthorised alteration. 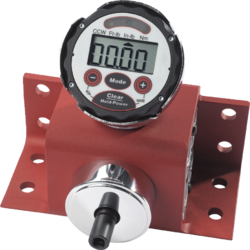 The have no scale and so must be set against a torque testing device such as Norbar's Professional Tester. Quality being the prime concern, we offer functionally advanced array of Pneumatic Torque Wrenches that are fabricated using raw quality material that is procured from certified vendors in the industry. They use advanced techniques and methods in manufacturing the entire product range. Our entire product range is delivered in standard sizes and thickness and comes with customized and standardized solutions. 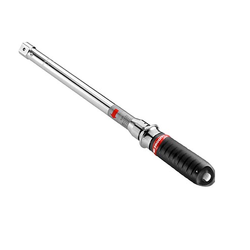 Pneumatic Torque Wrenches are performance based and delivered in well-defined time. Moreover, they are offered at most affordable rates. 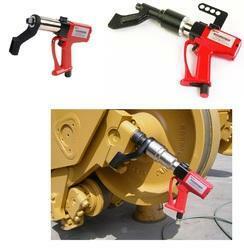 Pneumatic Torque Wrenches are corrosion resistant in nature and ensures easy installation. Furthermore, we deliver them in well-defined time. Banking on the individual requirements of the clients, we offer functionally advanced array of Tohnichi Dial Torque Wrenches. Our entire product range is strong in nature and ensures high strength. They have exceptional finishing and come in standard solutions. 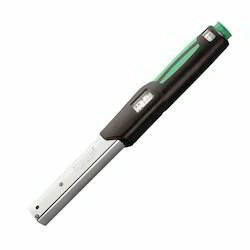 Tohnichi Dial Torque Wrenches ensures smooth finishing and are durable in standards. They have high tolerance capacity and ensures wide acceptance. 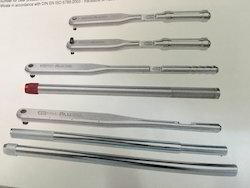 Tohnichi Dial Torque Wrenches are well-tested before the final dispatch thereby ensuring its quality and global standards prevailing in the industry. 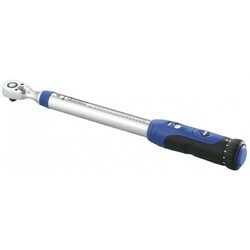 Tohnichi Dial Torque Wrenches are delivered within well-defined time frame. Use to test all types of torque wrenches in all types of settings where full scale calibration is needed or where a quick Pass/Fail check is required. Accuracy of +/- 1% of indicated value in both clockwise and counter clockwise directions. Broad accuracy range extends from 10% to 100% of full scale. Three units of measure are available ft-lb, in-lb, and Nm. Three operating modes: Track Mode, Peak Hold and First Peak (for use with Click-style Torque wrenches). Fast sampling rate helps maintain high accuracy during torque applications. Each tester is built with a male square drive and also comes supplied with a female-to-female square drive adapter. Powered by a standard 9V battery, providing up to 50 hours run time. N.I.S.T. (National Institute of Standards and Technology) traceable certification supplied with each tester. Optional all-steel stand (J6470S) provides a strong support with minimal footprint. We supply precision torque wrenches made from high strength aluminium alloy. These are preferred over normal steel torque wrenches because of its light weight and for working at heights. 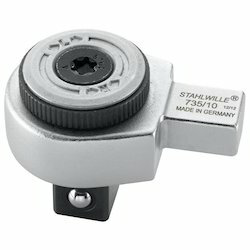 Stahlwille torque tools ensure precision and accuracy every time. The products to feature clearly readable twin scale (N m and ft.lb), as well as noticeable double signals when desired torque is reached. 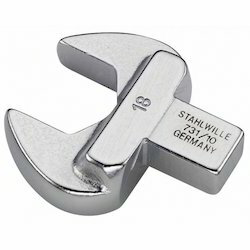 Our tools are designed in Germany, which is the industrial design capital of the world. We think that you will enjoy the ergonomically styled handles, which are designed to deter grease and other similar oils. 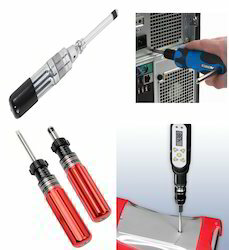 We specialise in manufacturing the following tools: electronic torque wrench/angle controlled wrench, electromechanical torque wrench, and mechanical torque wrench. 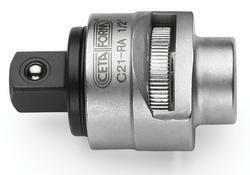 Open End Insert Tools Are Used On Torque Wrenches, We Stock Open End Inserts For 9x12 And 14x18, 16 And 22mm Spigot. Ratchet Head Insert Tool Of 9x12 And 14x18 In 3/3 , 1/2 And 3/4 Drives. 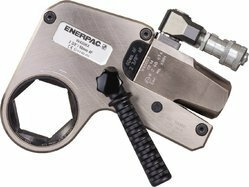 These interchangeable torque wrenches are designed for use on production lines and other applications where a specific torque is required for repetitive operations.